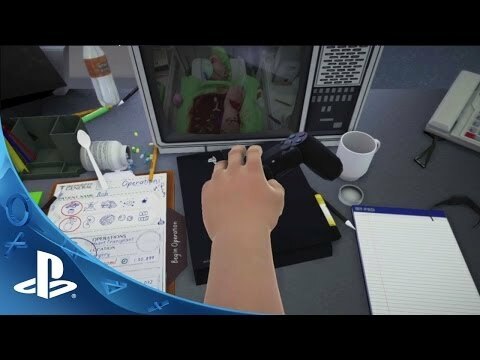 The most critically acclaimed, one-handed, clumsy, bumbling, surgery simulation game has now arrived on PS4! The most critically acclaimed, one-handed, clumsy, bumbling, surgery simulation game has now arrived on PS4! Players use their controllers to operate one of Doctor Nigel Burke’s flailing arms, in an attempt to perform life-saving surgery on his peaceful and trusting patient, Bob. Nigel’s surgical adventures will take him through over 20 operations and across 5 different locations, including brand new Eye and Teeth operations. We’ve also added 56 trophies for you to collect and admire. Fantastic!